"I raced a '64 LC in Australia 1964-66 with a great lack of sucess, the two factory sponsored cars that the Goeghan brothers ran for Neptune Racing were so much faster. 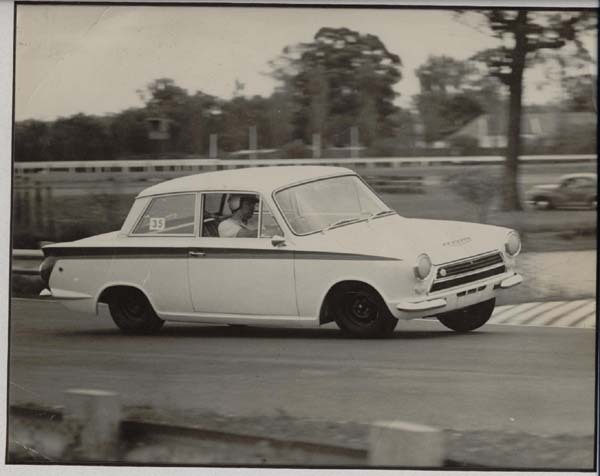 The picture above is my '64 at Warwick Farm, during mid week practice in October of 1964." "We all received our cars in the same shipment but within a couple of weeks both the Neptune cars had some very inovative modifications, still within the rules.......sort of." "That was 40 years ago...... Let me tell you, that was a lot of fun." "Now we have a bunch of mostly "Old Guys" racing mostly for fun. This picture is my 1965 LC, at Mid Ohio. If the cars were not modified, they would not last a season. 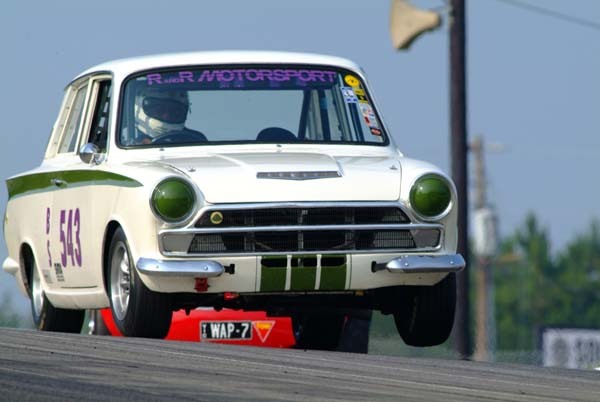 Yes you need 190HP++, I found that out at Mid Ohio when the 356s and a Speedwell Sprite could pull me on the long back straight." "As long as we keep to the spirit of the original cars, disk/drum, 4-speed box, max 6" wheels and no electronic ignitions we will all have fun. The more $$$$$ you put into a car the faster it will go, but thats life, it was never meant to be fair." "As the prize money for 1st or 40th is the same, who cares. It's not about winning. It's all about being out there." "In November 2005, this car was stolen and stripped. After recovery, it was restored, and a replacement engine was installed.